Giveaway Alert : American Apparel T-shirt ! Since I've managed to get two of them at once, I decided to share the extra one with my readers ! 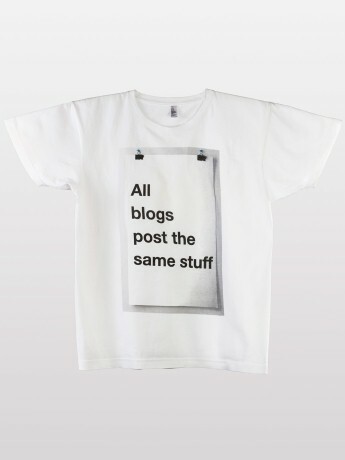 It's fun, sarcastic t-shirt & my favourite fashion blogger Leandra rocked it a while ago.. It's size M, it's from the Men's department of American Apparel..
How to get it? One lucky winner would be chosen, a male or a female but has to be from Kuwait..
Leave your name & email in the comment section and I'll pick one winner within' a week from now..